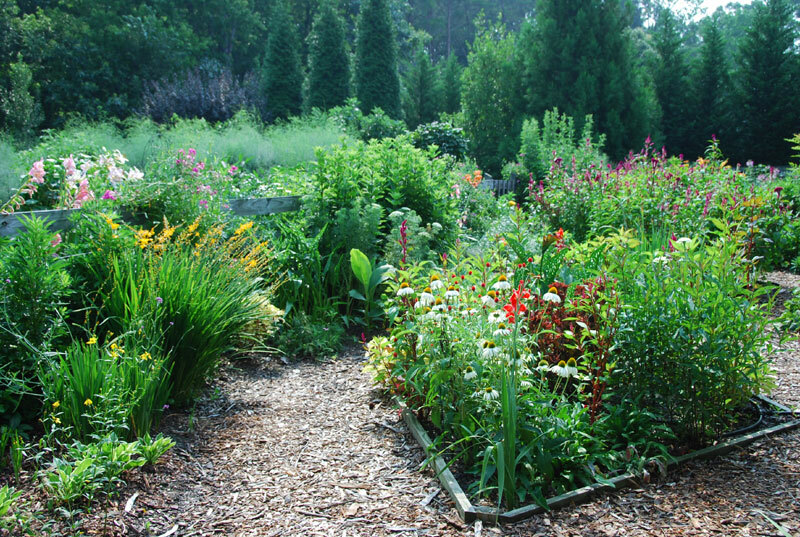 Summertime is not usually a prime time for garden tours. 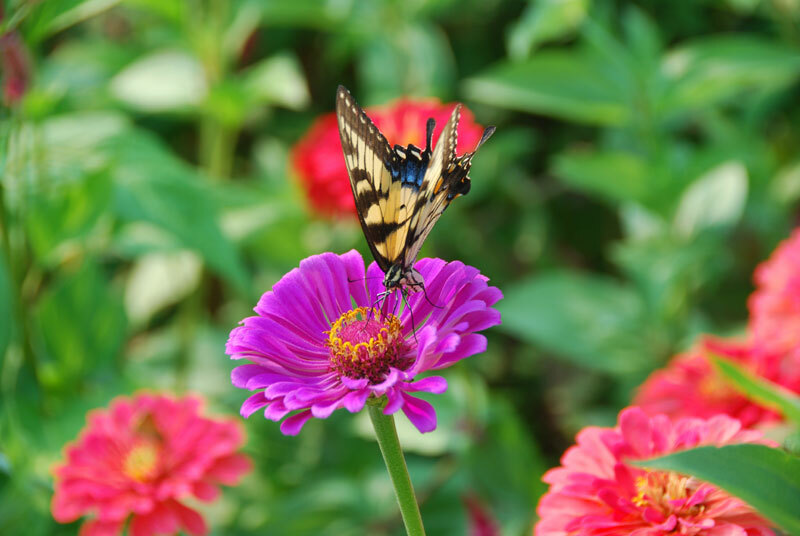 It is HOT, the splashy tulips and azaleas, the graceful dogwoods and redbuds – all have faded to green. 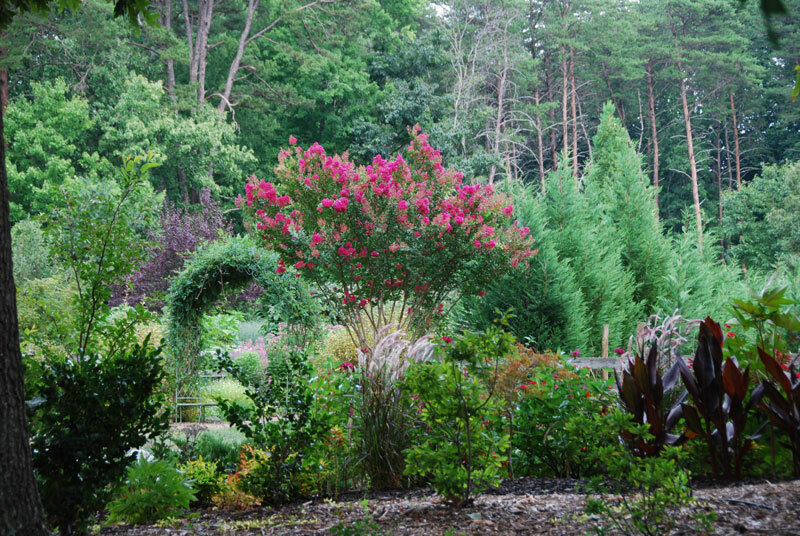 In fact, summer landscapes are often just GREEN with a few slashes of daylilies, crape myrtles and potted annuals. 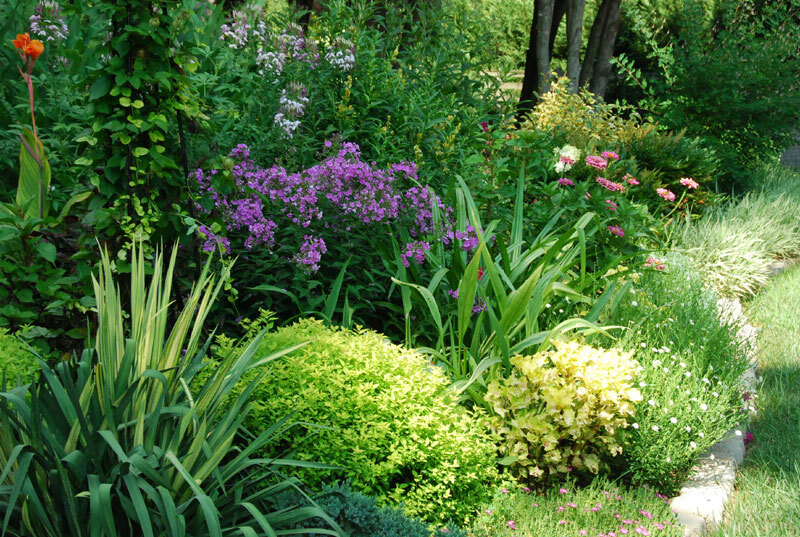 I will show you how to make your summer landscape exciting! These pictures were taken in my garden from June through September. 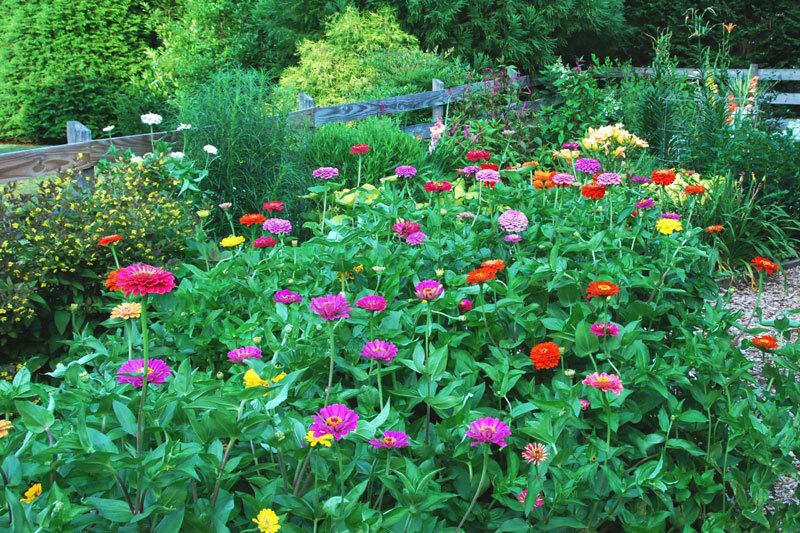 Zinnias are indespensible in fresh Flower Arrangements! Folige is as colorful as the flowers.